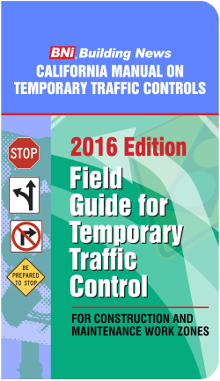 Best-selling guides to temporary traffic controls in construction work areas. This pocket-sized Field Guide gives you all the illustrations from Part 6 of the 2014 California MUTCD in a convenient take-it anywhere format. Free Shipping until it’s published in November. Order now and save!